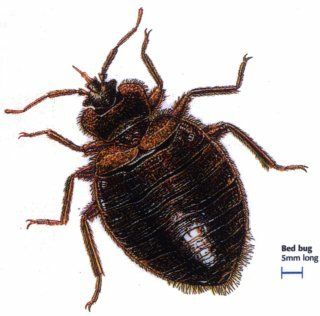 Does Club Encounters Have Bedbugs? Club Encounters is an On-Premise swingers club located at 45 Kean Street, West Babylon, NY (Long Island). We typically end up there when we have absolutely nothing to do on a Friday night. Encounters has a Forum which we visit and interact on regularly and we noticed some recent comments about a rumor that Encounters has become infested with bedbugs. Our first reaction that such a rumor was most likely nonsense. We saw what happened with the Hot Wives of New York City party being abandoned after the drama that unfolded there and this just seemed like possible business tactics to hurt the competition. However, because our plans fell through last night to go to Checkmates in the city, we decided to head to Encounters. When we went to the play area we noticed immediately that there were NO BEDS. Where the hell were we supposed to play if we wanted to? But that is beside the point, immediately the whole rumor of the dreaded bedbug shot into our minds and now we were actually concerned. We went to the bartender and asked her why there weren’t any beds in the play area. She looked at us like we were space aliens. She claimed she had no idea why there weren’t beds back there and thought we were joking. She found out for us though, and told us there was some sort of inspection and Encounters had to remove the beds. That is all she was able to find out. So, from the information above, decide for yourself, but it looks like Off-Premise swingers club, the Manor, will be our choice for Friday nights that we have no plans for at least the next 6 months.